I’ll be hitching up the wagon and heading south to North Carolina for a wedding starting Friday, so I’m going to miss all of the Round 2 action from the MLS Playoffs. Because of that, rather than hash out a full game-by-game preview, I’m just going to give a blurb or two about each of the upcoming games, with my prediction who will win each series. Ready? Go! Uruguayan Advantage: International birth laws give this one to the Revs for Diego Fagundez, but Columbus do have Uruguayan-American Agustín Viana, so at least they tried. I don’t necessarily consider myself a Revs supporter (I’ve been watching a lot more Galaxy games this season), but the Revs are the only team I’ve ever seen play in person, so I have a soft spot for them. The addition of Jermaine Jones to a team that already had MVP candidate Lee Nguyen, has really made them MLS Cup contenders in my book. I think next year, under the new brand, Columbus would be more likely to win. The Revs take this series after winning 3-2 at home and tying in Columbus. I do think this will be the best matchup of the four though. Exciting teams. These teams played each other quite boringly evenly in the regular season. LA needs to bounce back after a disappointing home-and-home against Seattle to end the season (and their quest for the Supporters’ Shield). Look for Robbie Keane, Landon Donovan and Gyasi Zardes to lead at least a two goal attack for Los Angeles. Real can be exciting to watch, especially when they throw the unrealistically tiny Joao Plata on the pitch. That being said, the Galaxy will win both games, with an aggregate score of 4-2. Uruguayan Advantage: Nobody has any Uruguayans. Tsk. Tsk. I am unable to post this after the game ends tonight, because I’ll be up super early to drive South, but it really doesn’t matter. Of the two teams that will potentially face DC, I have much more faith in the Red Bulls. I picked New York to get past KC in their knockout round matchup, but I think this is where the road ends for NYRB. I do think that the Red Bulls will win one of the games, but ultimately, DC will beat whichever of these teams they face. The goal aggregate will be 5-4 if DC faces the Red Bulls, and 4-1 if they face Sporting. FC Dallas is a tough team, but I just think the Sounders are playing far too well to lose this early in the competition. I know Seattle has a history of kind of not showing up in the post season, and Dallas has the lone Uruguayan on either roster, but Seattle is having one hell of a year. They won the Lamar Hunt U.S. Open Cup. They won the MLS Supporters’ Shield. 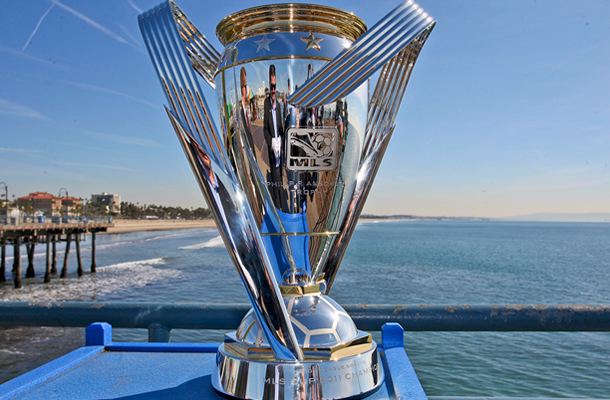 Will they win the MLS Cup? I’m not sure, but they won’t lose to Dallas. Seattle wins both games, with a 5-2 aggregate score.